THE RIDE draws on a wide variety of creative talent from New York City who provide a delightfully wry, satirical, and ultimately loving look at the city in all its fabulous, unvarnished glory. The production and artistic team includes writers, producers and directors whose credits include television, theater, and major live entertainment events. 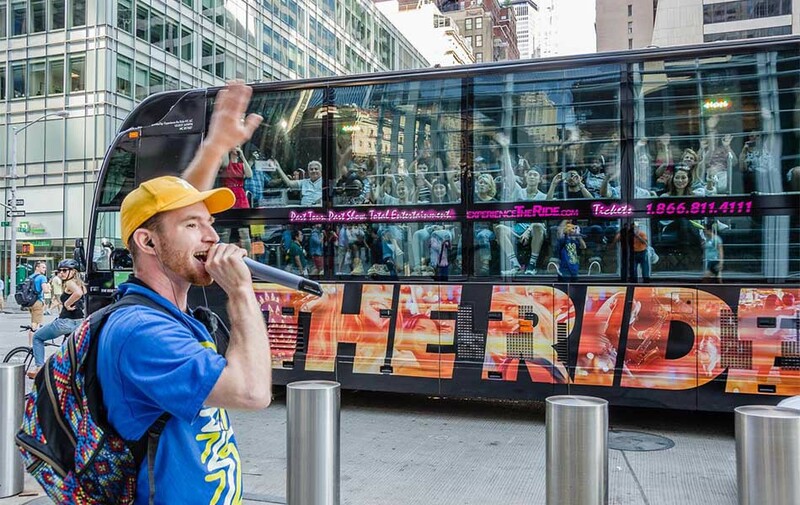 THE RIDE is a multi-media, multi-discipline production that moves patrons through midtown Manhattan on custom-built vehicles, while an ever-changing show featuring actors, performers, and everyday citizens unfolds on the streets before them. Sun 10:00am - 4:30pm .